Oscar-nominated director Stephen Frears (“Dangerous Liaisons,” “The Queen”) does his best work in over a decade, but it’s not for a film opening in theaters today. It’s in his directorial work on the three-part, roughly three-hour mini-series “A Very English Scandal,” debuting in its entirety today, June 29th, on Amazon Prime. Frears has long been a great actor for directors, drawing some of the career-best work from performers like Michelle Pfeiffer, Helen Mirren, Annette Bening, Chiwetel Ejiofor, Daniel Day-Lewis, and John Cusack, among many others. Here, he brings the absolute best out of Hugh Grant and Ben Whishaw, who give riveting performances in the telling of one of the U.K.’s most shocking political scandals. This is a must-see. Grant plays Jeremy Thorpe, a powerful MP who also happened to be a closeted homosexual. In the mid-‘60s, he developed a relationship with Norman Scott (Whishaw), someone very much at the other end of the socioeconomic ladder. At least as it’s captured here, Norman was something of an acquisition for Jeremy, someone he could protect and predict. Tired of the danger of illegal one-night stands with men, Norman was something he could control. Until he couldn’t. After the two split, Norman became the secret for Jeremy that wouldn’t go away. And so he tried to have him murdered. A character in the phenomenal third episode (the series starts strongly and only gets better) says that “This is the story of a liar meeting a fantasist.” Norman was the kind of young man who partied constantly and told stories to try and impress people around him. 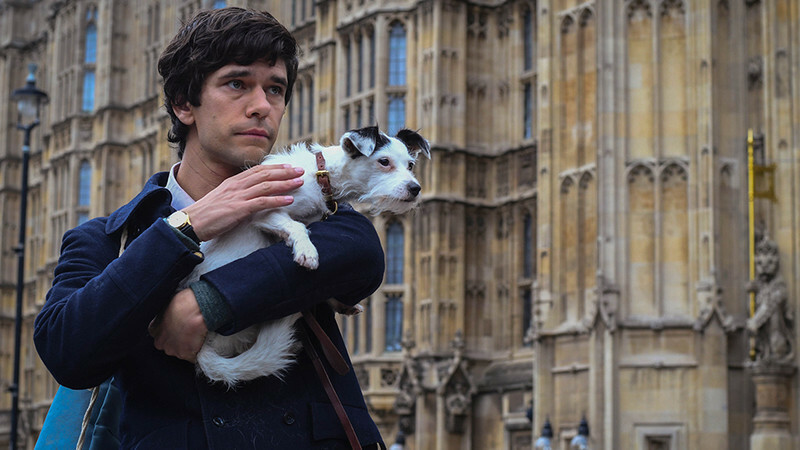 Whishaw perfectly portrays this man’s fascinating combination of vulnerability and strength. He gets that Norman honestly loved Jeremy, and that plays into why he refuses to be considered a fling. The look in his eyes when one of Jeremy’s colleagues who knows about the relationship verbally recognizes the honest emotion of it is poignant. Norman is a man who has been dismissed by everyone and was then seen by one of the most powerful men in the country. He refuses to let that go. In some ways, it's all he has. On the other side of this remarkable acting achievement is the work of Hugh Grant, having one hell of a year with this and “Paddington 2” (he should work with Whishaw, the voice of Paddington, all the time). Here, Grant is not only perfectly cast—his movie star looks conveying the powerful social position of his character—but he seems to fully understand the push and pull within Jeremy. Nothing is more important than his reputation and his political career, and it’s when his illegal love (homosexuality was illegal when they started dating) threatens his career that he lashes out. He would rather be dead than outed. Norman becomes a situation that he thought he completely controlled that ends up controlling him, and Grant captures that aspect of this fascinating story with remarkable subtlety. This could have been an exaggerated caricature of an awful man overrun with power, but Grant finds a way to make Jeremy engaging instead of merely a villain. And yet he never goes for sentimentality either. We come not to like Jeremy but to at least understand part of what he did, and that’s quite an accomplishment. It may be Grant’s best performance. Frears and writer Russell T. Davies (“Doctor Who”) also refuse to overplay their hand when it comes to the salaciousness of it all. This is a scandal during which the sexuality of the defendant became more controversial than the allegation that he tried to have someone killed. Think about that. 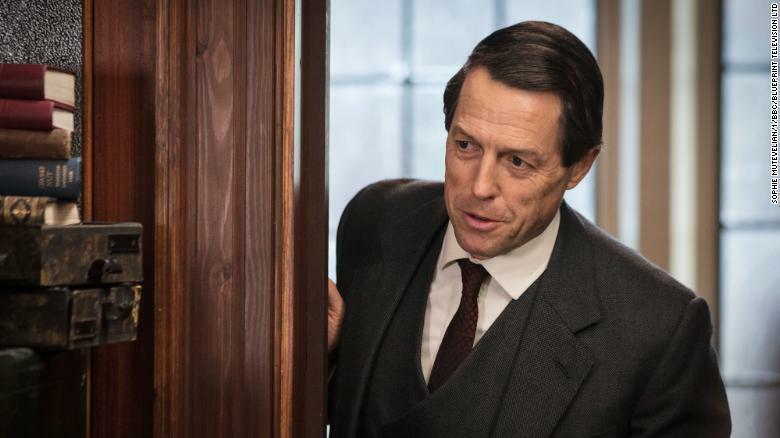 The skewed priority that values public perception over human life is there under the surface of all three hours of “A Very English Scandal,” and Frears and Davies fully understand that this is what created Jeremy Thorpe and made him into such a monster. Davies and Frears work together to refine a perfect balance of tone. “A Very English Scandal” can be very humorous, especially as the attempted murder unfolds in such a dumb manner that it almost makes the criminals in “I, Tonya” look intelligent. And yet when it reaches its emotional peak in episode three, I found myself incredibly moved. And perhaps most refreshingly of all, “A Very English Scandal” zips by. In an era when almost every TV season is just too long, this is a quick-paced, jaunty three hours of your life. You won’t regret it.